Well travelled around Africa because of electoral missions, Onofre Santos’ art collection has grown along his widespread footprints. From Angola to Niger, from Mozambique to Guinea-Bissau, he has built a wide-ranging African art collection centred on Angolan artists. 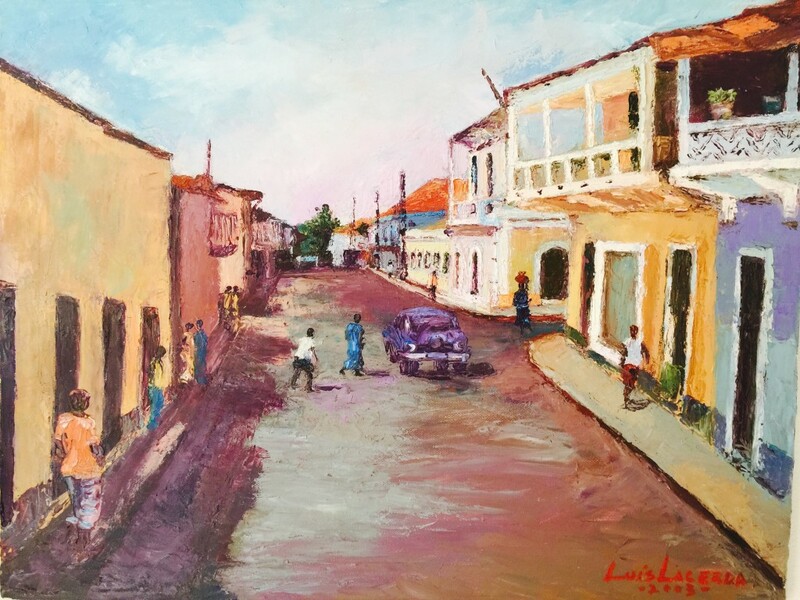 He has shared with Larry’s List what is special about Angolan artists, which is his most treasured artwork, as well as the current art and collecting scenes in Angola. 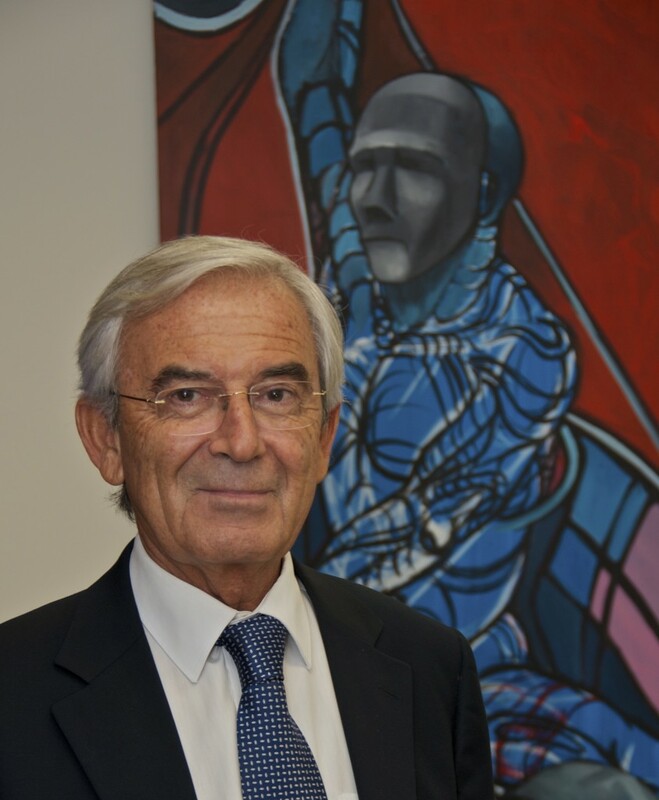 Onofre Santos with “Sisifo” a painting of Paulo Kussi. Courtesy of Onofre Santos. In reality I don’t feel myself as an art collector… It happened to me during my electoral missions through Africa to find little things I liked too much to let them behind. It was African art, some pieces looked pretty old, others absolutely not. Back in Angola, I added to those objects the paintings of very good Angolan artists, like Don Sebas Cassule, Alvaro Macieira and Benjamim Sabby, Paulo Kussy…and Clotilde Fava, a Portuguese artist who lived for long in Africa and is deeply and beautifully inspired by its characters. Painting by Benjamin Sabby. Courtesy of Onofre Santos. Considering the paintings I acquired, only Angolan artists; what attracts me is the African inspiration of them all. As I told, the type of art I collected were the fruit of my travelling throughout many countries in Africa. As Angolan, I was always interested in finding African art, and of course, I am not an expert, but just someone attracted to beautiful things. 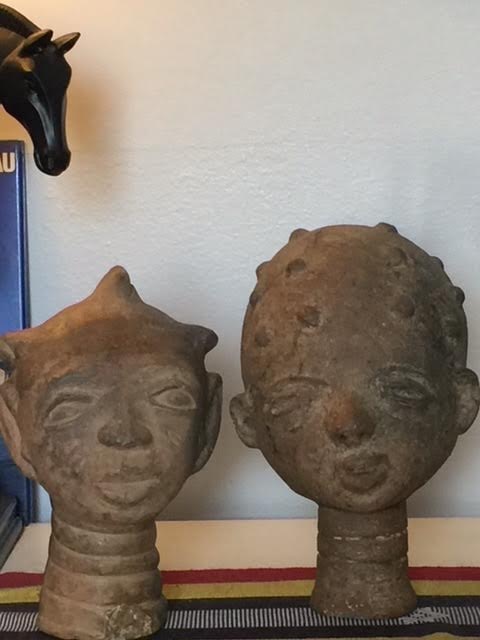 During my stay in Niger, I found some interesting terracotta heads. 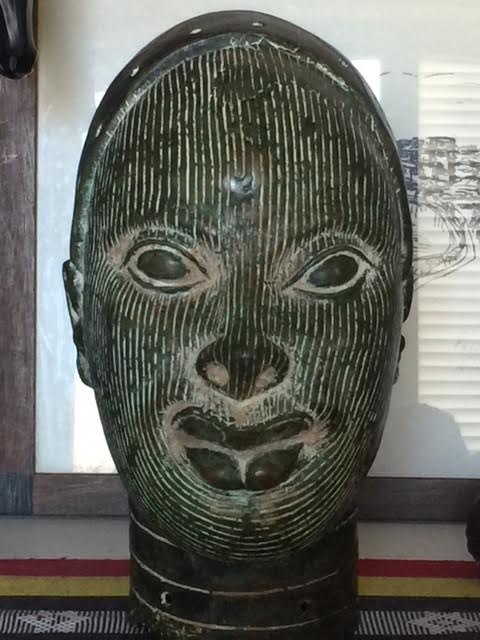 This was back in the late nineties… some years before in Guinea-Bissau, I found a woman head, in copper or zinc-brass, a beautiful piece, that extraordinarily resembled to me the head of Ife on display at the British Museum. I found it with an African art Guinean merchant who told me that the piece was related to the old Kingdom of Benin. It was very expensive for me, but I could not resist. The head in brass-zinc probably from Benin. Courtesy of Onofre Santos. Would you use three words to best describe the Angolan contemporary art you collect? What were the first and the latest artwork you purchased? I have many all scattered through my home in Luanda, my home in Portugal and several scattered in my children’s homes… Therefore, I can see all those pieces when I visit them. Street of Bissau, by Luis Lacerda. Courtesy of Onofre Santos. 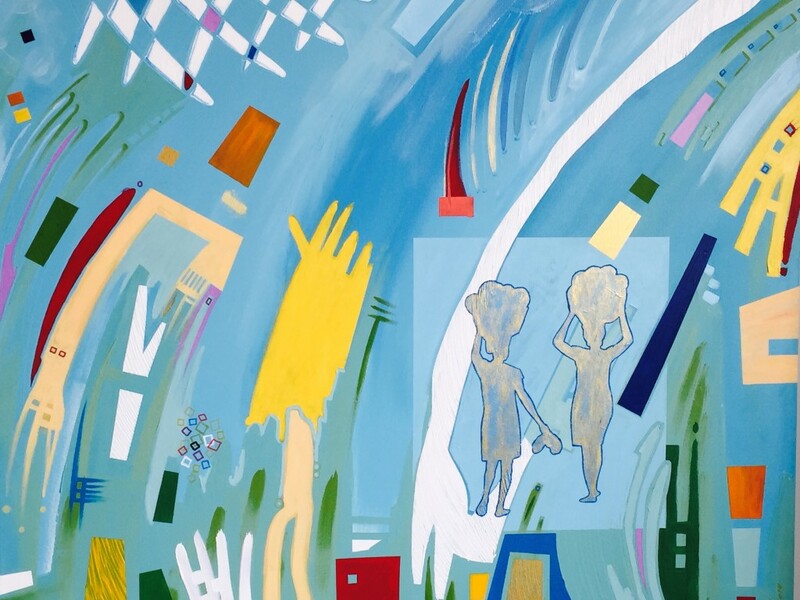 Have you ever presented, or would you wish to present your art collection publicly?No. I really think that is more an affective collection than an art collection as we usually look at. 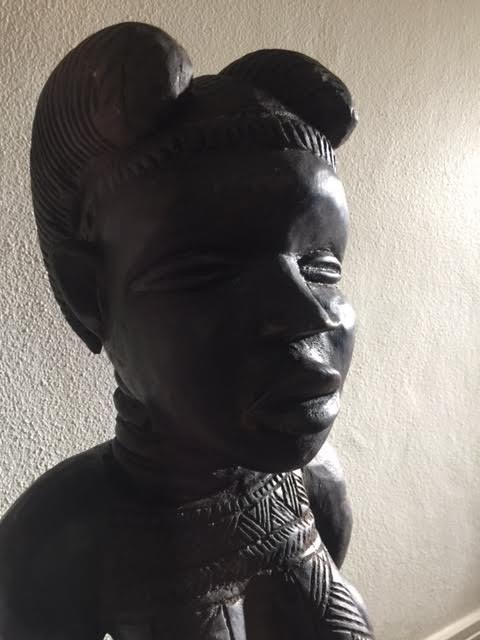 I still keep near me and consider my most treasured artwork the woman head in brass-zinc from the mysterious Kingdom of Benin I met a quarter of a century ago. It is something I consider an honour, to meet someone able to create, with such a beauty… I very often talk with the Angolan artists, some almost unknown, and I appreciate to be friends of artists such as Macieira, Sabby or Kussy that are making their own schools in Angola. Painting of Dom Sebas Kassule – memories from youth. Courtesy of Onofre Santos. Can you name three Angolan artists who should be on our radar? How is the art scene nowadays in Angola? It’s a very productive one. 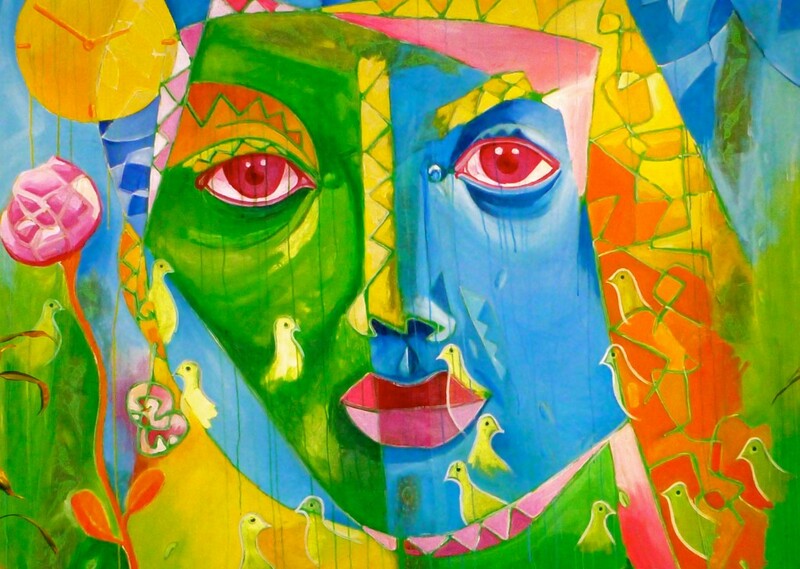 Several galleries are regularly showing what is the best of Angolan painters and sculptors. Old african sculpture (detail). Courtesy of Onofre Santos. What about the art-collecting scene? Are there many young collectors? I think there are a good number of art collectors, probably institutions and private companies are incentivizing the art production, but what I can say for what I see is the interest and affluence in each exhibition and how rapidly the art exhibited is marked sold. I like to be surprised… I always expect to see something coming and that I cannot resist. Two heads in terracota from the desert in Niger. Courtesy of Onofre Santos. Thanks to Ms Riah Nam for facilitating the interview.